1. Rub the fish, inside and out, with salt and pepper, then coat with the cornstarch. 2. Place the fish on a heatproof plate. Mix the black beans with the garlic, ginger, and scallion. 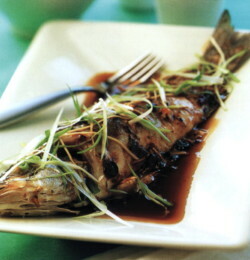 Spoon over the fish and sprinkle with oil, soy sauce and sherry. Place in a steamer and steam for 20 to 25 minutes. 3. 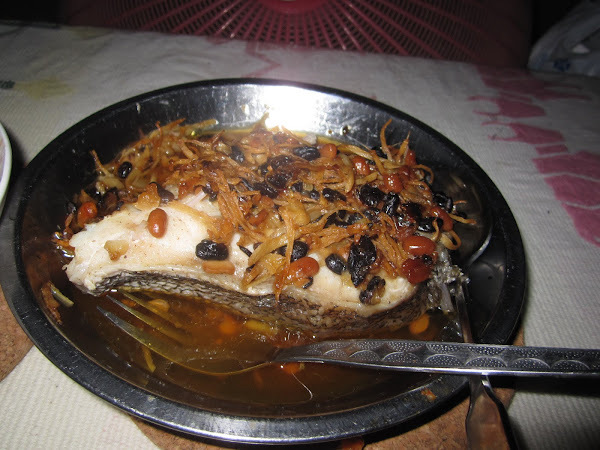 Transfer the fish to a serving plate. Spoon the sauce over and garnish with the scallions. Serve hot.